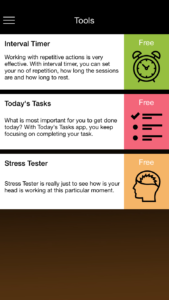 The NoLimit app – Goal setting app is constantly evolving with more and more tools available to our users. 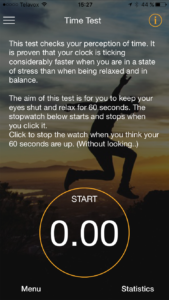 Now we’re happy to introduce a new version of the app with tool 3, Stress tests. 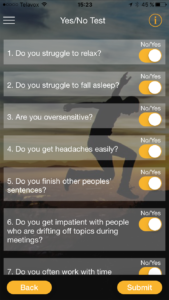 With stress tests, you can easily control your stress level with some fun and eye-opening exercises. 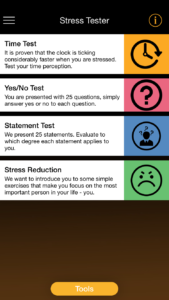 We have included exercises that give you an indication of your stress level and can give you the opportunity to develop your goals and tasks according to what the tests show. Feel free to provide feedback on the app. What do you think is working and what needs improvement?